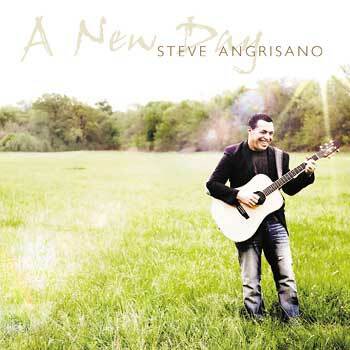 Rejoice in God's daily gifts with soulful songs for liturgy, prayer services and personal devotion from Steve Angrisano. Inspired by the Holy Spirit and arranged in accordance with the ancient tradition of the Liturgy of the Hours, A New Day showcases Steve Angrisano's profound ability to bring us to a deeper understanding of our everyday encounters with Christ. This album is truly a masterpiece in creative collaboration. Produced by the incredible team of Mark Byrd and Steve Hindalong (writers of “God of Wonders” by Third Day), this collection features a blend of instruments that create a traditional, organic, ‘Americana’ sound. Steve Angrisano’s songwriting and composing efforts are complimented by such contemporary Catholic artists as Sarah Hart, Jesse Manibusan and Curtis Stephan, resulting in music that truly praises God—from sunrise to sunset. Instant classics like “May Your Kingdom Come” and “A Rightful Place,” the album's breakout single, will fill your liturgical need for upbeat contemporary entrance and sending forth songs, and are a blessing to any liturgy or service. Additionally, you’ll find songs for special services, like “Alleluia, Love is Alive,” which captures the spirit of Easter and proclaims the good news of the resurrection and our salvation with a joyful shout, just as the Gospel proclaims. A New Day is also a welcome addition for personal listening and devotion, bringing new focus and reflection to God's daily presence in our lives.